Register your station: join us with the reception of the first Hungarian satellite. Download the latest decoding SW and contribute to our operation. The SW automatically sends the received packets to our database. 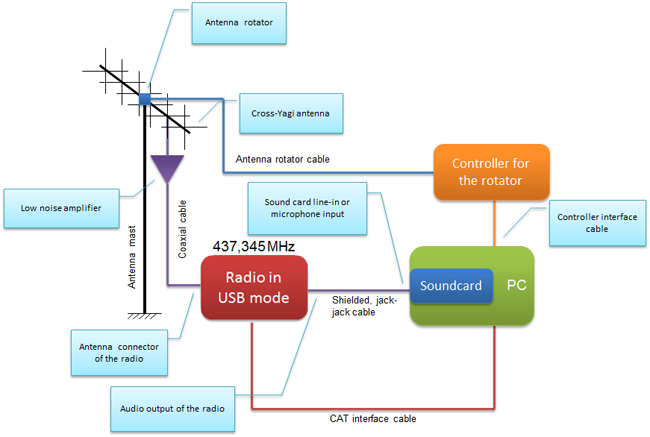 For Doppler correction and antenna pointing, the orbit parameters are necessary. We use the website Celestrak for obtaining the Two Line Element data of the orbit. Logging and forwarding of the received packets is done automatically by the decoder software. Forward reception reports, CW data and .wav files to the address. Currently, server-side data logging is implemented without real-time acknowledgements to the clients, despite the “Offline” notation which may have led to confusion. We are sorry about the inconvenience it may have caused. Until we implement real-time acknowledgement, you can see the daily number of packets received by amateurs in the bubbles on the map of the main page, and also in the Reception statistics page showing the number of incoming packets (update daily at 1:00 UTC). This way you can verify that we successfully received your packets. If you want to make sure we get the telemetry packets you receive by the SW, you can also mail the .log file in the folder of the SW to Please keep in mind that the processing of packets sent via e-mail takes more time than those sent automatically by the SW. Please also save all the .log files to your computer as these might be needed later. The satellite’s TX and RX modes operate according to a pre-programmed schedule. If the satellite is within the coverage of Hungary, we often change the data rate to 1250 bits/sec. for file downloading purposes. In normal mode all subsystems’ data is refreshed with a new value on each pane in the decoding software. 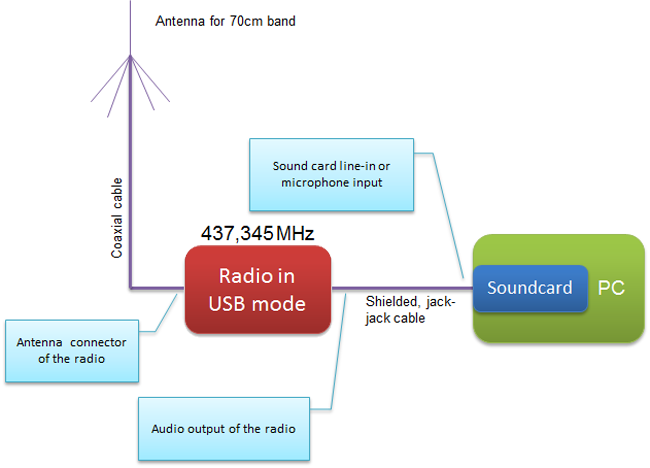 tuneable radio receiver with 70 cm SSB USB mode, such as FT-817, FT-897D, TS-2000, etc. PC with sound card, running the telemetry packet decoder SW in JAVA environment.